the area of the European Union to comply with a strict new vehicle fuel consumption and CO2 and other pollutants emissions testing regime called the Worldwide Harmonised Light Vehicle Test Procedure (WLTP). The stipulation follows on from the introduction of WLTP for all new car models from 12 months previously. However from the same date in 2019 the purely laboratory-based procedures demanded by WLTP will be supplemented by a further requirement for on-road testing known appropriately as Real Driving Emissions (RDE). 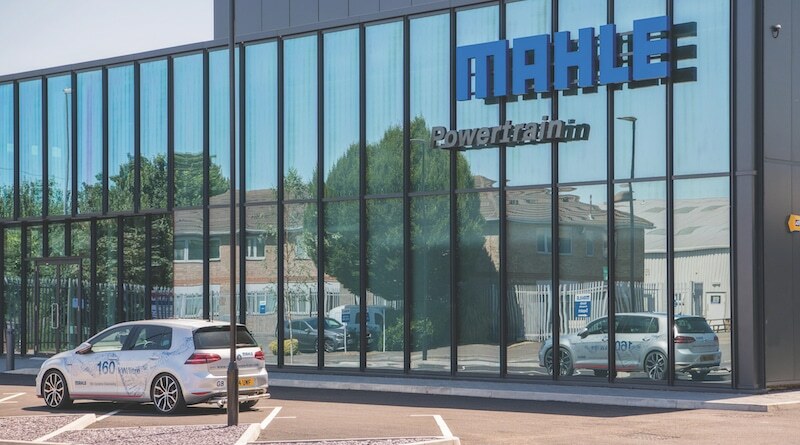 As such appropriate testing is unavoidable for OEMs and in response to what from now on will be an absolute requirement the first facility in the UK and one of only a handful in Europe capable of carrying out all the necessary procedures was opened at the end of July 2018. 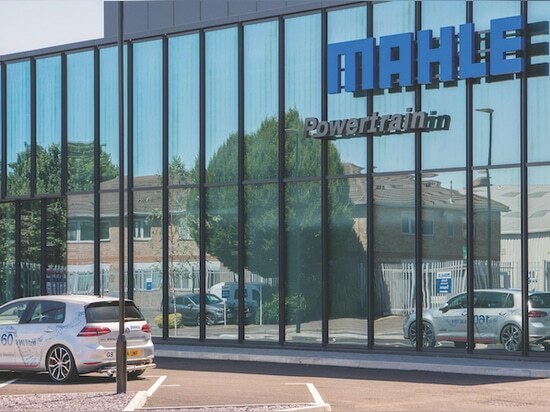 This is the Real Drive Emissions Centre (RDEC) operated by engineering services provider MAHLE Powertrain at its site in Northampton and built at a cost of £8.3m on what just 12 months earlier was a car park. Though it is much like any other such facility in appearance the capabilities of the Centre are much more comprehensive than those required by the previous and now redundant New European Driving Cycle (NEDC) regulations that dated back to the 1980s. 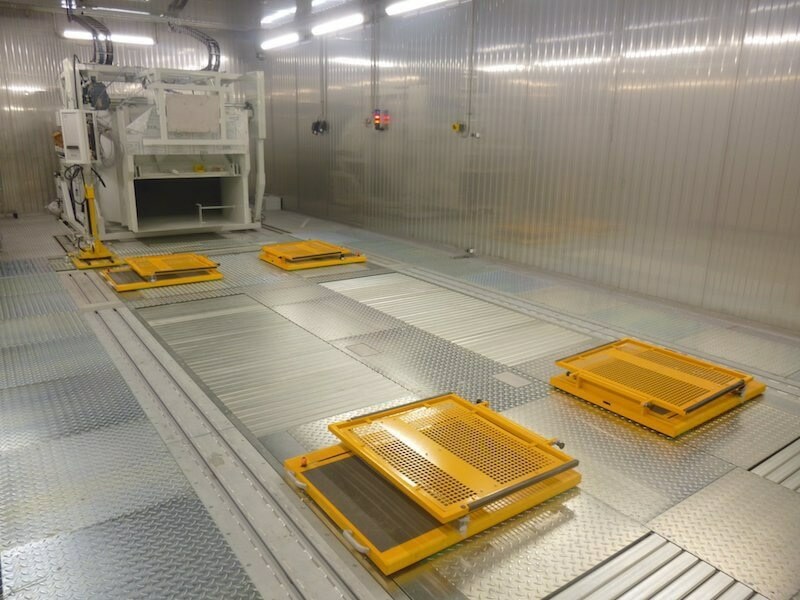 Key aspects of the facility are that it provides full four-wheel drive test capability at 230kW per axle, a temperature range of -40ºC to +55ºC and also an altitude simulation capability from 0-5,000 metres. The maximum vehicle speed that can be replicated is 250km per hour. The parameters to which it will have to operate are appropriately exacting. The latest Euro 6d regulations stipulate emissions limits for petrol-fuelled passenger cars of 100mg/km for total hydrocarbons, 60mg/km NOx, 1,000mg/KM CO and 4.5mg/km particulate matter. The individual who oversaw the project that led to its construction is engineering director at Northampton Simon Reader. He points up what at first might seem a slightly contradictory aspect of the whole situation – that despite the outlay on and sophistication of the RDEC itself the completely innovatory aspect of the new vehicle certification scheme that is now coming into force is the requirement for on-road testing. “That has not been required previously,” he confirms. As such, he explains, the test chamber at Northampton will be supplemented by two approved routes in the surrounding area that new model sample vehicles will have to travel before volume production counterparts can actually be sold. But, Reader continues, actual on-road test driving is still subject to the arbitrary and unpredictable types of event that may, for instance, involve sudden braking or extended periods of being stationary that can be encountered in normal motoring. Hence while in that sense it may be more realistic it also by definition lacks the predictability and uniformity that is inherent in laboratory-based procedures. Even two compliant drives, he observes, might still be different from each other. Therefore while some on-road testing can and soon will be mandatory for final new model vehicle performance validation it is not suitable for intensive use during actual vehicle development programmes when the need to adhere to strict and increasingly compressed timescales will be paramount. But what are the essential differences between the former NEDC regime and the new WLTP requirements that the RDEC both facilitates and embodies? On that count Reader says that at the most fundamental level the old regime permitted some practices that are now quite simply banned. One, for example, was that “it allowed four-wheel drive vehicles to be run in two-wheel drive mode.” In consequence in contrast with its predecessor the new facility has a four-wheel drive capability. But in turn Reader says that enhancement brings with it a further benefit. “It allows us to run any hybrid powertrain combinations,” he states, explaining that with the increasing incidence of vehicle electrification former assumptions that most vehicles would be two-wheel drive are simply no longer valid. He also makes the point that the facility will still have a role to play in the development of purely electric vehicles with a theoretical zero emissions capability. “They will still have to have their range capability proven,” he states. adds, be operated by around 15 specialist staff out of 265 employees on the site in total – the approximation being caused by the fact that there will be some interchange between operation of the installation and other activities on the site. Instead Reader says that the issue that has become more acute given the greater range of ambient conditions that can be simulated is that of ensuring the health and safety of the human ‘driver’ who must of necessity still sit behind the wheel of a vehicle in the test chamber and operate the controls. In some ways, though, this is effected by fairly straightforward means. As Reader observes, for instance, in respect of the very low temperatures that may be involved “the heater still works in the car.” But the new requirement for simulating different altitudes has, he admits, confronted the task of operating the facility with a learning curve which has demanded an input of new knowledge. He says that the company has achieved this in part through working with aerospace industry consultants specialising in the safety of test pilots. One physical attribute of the RDEC that is relevant in this respect is the fact that there is an airlock in between the test chamber itself and the control room. This will, Reader explains, allow drivers to be brought back to sea level atmospheric pressure gradually from the lower pressure at which they will have been working much like a deep sea diver decompressing though in this instance from an initially lower rather than higher pressure. In any case at some future point, Reader speculates, that requirement might become redundant as human drivers are replaced by some form of robotic counterpart. The significance of that if it happens would, however, be that it would further enhance the repeatability and predictability of the overall set of procedures involved. “It would remove a variable,” he explains.